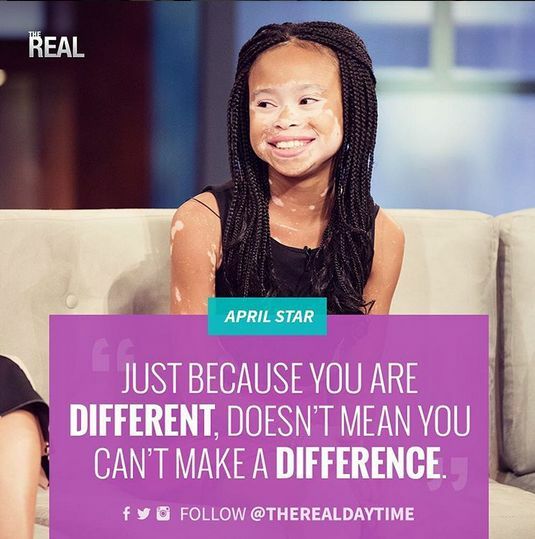 10-year-old aspiring model, April Star, was diagnosed with skin condition Vitiligo a few years after she was born. But this has not stopped her dream of walking the runway as a supermodel. The social media sensation created her Instagram account – @RedefinedMyBeauty to help raise awareness for Vitiligo, and show the world that she is just like everyone else, she’s just another shade of black. 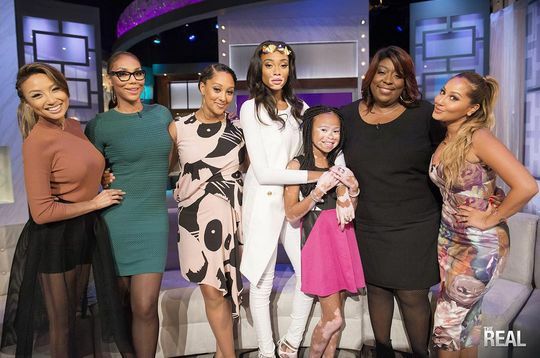 A day ago, the ladies of The Real daytime talk show – Loni Love, Tamera Mowry-Housley, Tamar Braxton, Jeanie Mai & Adrienne Bailon – invited the young lady to the show. During their interview with her, they asked who her role models were and she mentioned popular Vitiligo model – Winnie Harlow. Little did she know that the ladies of The Real & Winnie had a big surprise for her. bellanaija, the way you are making this vitiligo disease look, like its a very painful deadly disease,. pls it is not. cause pain , and is not medically dangerous. the way you are doing, as if both of them are going to die next week from the skin disease. too much sympathy for something that is harmless. pls save the sympathy for people who have deadly uncurable diseases like cancer and ALS etc. very, its odd that the picture of just both of them together, looks very very good. Simply beautiful. This made my heart smile. Such a lovely smile! Lol!! Uncle Rukkus…no relations….or Clayton Bigsby, the Black White Supremacist from the Chappelle show! Lmao! Dear Bruno, vitiligo is painless and not transmittable, but for a woman in a world where beauty and looks are everything, it can be “painful” learning how to accept and deal with looking like you were thrown into a smouldering volcano. So appreciate their confidence..
What they fail to understand is that the pain vitiligo sufferers experience is not physical, but psychological. And it doesnt have to be in the beauty industry alone. Everyday life must be a challenge for these sufferers too. Awww this made me cry…. and Bruno if you don’t have anything positive to say please go hang with your gay friends or something ???? tamar once said she had vitiligo…..side eye! i didn’t watch the whole show. i wonder what she had to say abut her own situation. I would like to know how i can cure ? Its very much embarrassing its also difficult to live life . The stigma is what causes pain my dear. I have vitiligo n I wear concealer everyday to avoid questions n “sympathy”. I once went for an audition and one of the judges told me ” with that thing on your face, u can never sell a product”. This was 10years ago and that hasn’t left me… Be easy if you aren’t walking in our shoes. 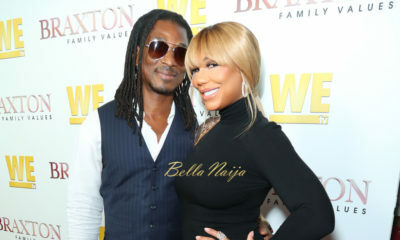 Tamar Braxton & her Nigerian Boyfriend have made their Red Carpet Debut + We’ve got the Scoop on his Name! 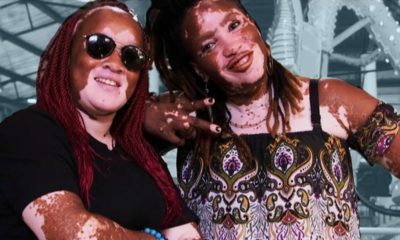 These Besties are not Letting Vitiligo Stop them from Living their Best Lives!